It makes me feel uncomfortable to see dancers and young people from my country of origin, Sri Lanka, struggle with their everyday life. By organizing the event I hope to inspire the next generation (kids), I want to show them that superheroes still exist. 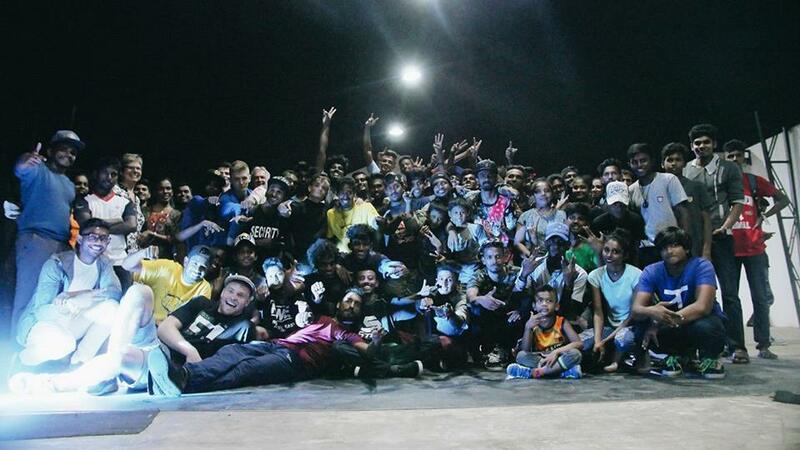 ‍Be a super hero Jam is a series of events that creates awareness and to inspire the bboys in Sri Lanka. By organizing the event, I hope to inspire the next generation (kids), I want to show them that superhero’s still exist. One man can’t do everything, but everyone can do something! So by putting all our knowledge and power together we can be the hero’s this world and time is missing. I also hope by doing this more and more people will see events/projects like this is possible. While looking at the same incidents, I saw different things than others. The person who sees or experiences differences is responsible for sharing it, because lots of people will be able to see through his eyes. We can only change the world by moving or making waves. And I hope that others join these movements/waves. ‍My Grand vision is that by organizing “Be A SuperHero Jam (BASHJ)” we can inspire and motivate the Bboy scene in Sri Lanka. By doing this we will be able to share more knowledge about life in the scene. The world is getting more and more chaotic and in my experience this can mean you lose you self in the process. Bboying gave me the possibility to change negative emotions to positive ones. We need people with superpowers! People with motivation, power and knowledge who can help us making the ideas work more.